Compared to children who had not had cancer, children treated for cancer before age 4 progressed more slowly in vocabulary, cognitive functions such as attention and memory, and motor skills. 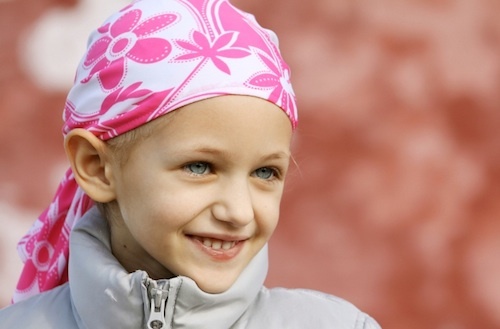 However, having cancer did not appear to affect children’s social and emotional development. Their ability to respond to their parents was comparable to that of their peers who did not have cancer. Also unaffected by cancer was the ability to engage in make-believe play, such as pretending to pour and serve tea, which typically develops between 12 and 18 months of age. The current study is the first to document, prospectively, the potential effects of having cancer on young children’s development, enrolling the children after their diagnosis and testing them after they had received treatment. Previous studies have attempted to discern the influence of childhood cancer many years after the cancer had gone into remission in adolescence or beyond. In the early years, when children go through such tremendous growth, they arguably are more sensitive to biological and environmental influences than adults are. Our intent was to assess how cancer might affect a child’s quality of life. In recent years, survival rates for many types of childhood cancer have increased, Dr. Bornstein said. For this reason, quality of life for young cancer survivors is a major concern. Dr. Bornstein conducted the research with NICHD colleagues Diane L. Putnick, Ph.D., and O. Maurice Haynes, Ph.D.; Sara Scrimin, Ph.D., Fabia Capello, Modesto Carli, M.D., and Marta Pillon, M.D., of the University of Padova in Italy; and Simona de Falco, Ph.D., of the University of Trento, also in Italy. Their findings appear online in the Journal of Pediatric Psychology . The researchers evaluated 61 children between 6 months and 3.5 years old. All were being treated for tumors or cancers of the blood when they entered the study. The children averaged 19 months old at diagnosis, and had received an average of three months of treatment at the time the researchers evaluated their cognitive and emotional development. The researchers also videotaped the children and their mothers while they engaged in play. The researchers reviewed the video and gauged children’s social and emotional development by rating their responsiveness to and involvement with their mothers, exploration of new toys, and ability to engage in make-believe play. Mothers also responded to questions about their child’s language ability and behavior at three points in time: one month before, one week before and on the day of the cognitive, motor and social/emotional testing. The cancer survivors did not score as well on tests of language, cognition and motor milestones as did children who did not have cancer. In terms of developmental averages, children with cancer were about 7 points below average on tests of mental development, and 14 points below average on motor tests. It’s important to stress that we documented a broad range of scores. Every child’s experience is different. Some were nearly on target for achieving milestones, some were far behind. The key message, however, is that parents and health care professionals should realize that such delays are a real potential, and they should be factored into decisions on the care a child receives. The researchers found no differences between the groups in terms of social and emotional development. We’ve demonstrated that the impact of the disease and its treatment can appear early on. It suggests that the earlier health care providers start addressing these concerns, the better. For example, a child who finds language difficult may grow frustrated and stop trying to learn, she explained. In this way, early deficits can snowball and hinder improvement over time. In addition, caregivers often wait until the cancer is in remission before addressing other concerns. These findings suggest that future studies are needed to determine if early intervention, even as soon as the first round of treatment is completed, might be helpful, Dr. Putnick said. The evidence further indicates that there might be advantages to engaging young cancer survivors in therapy through social interaction. One approach worth exploring is to provide instruction to parents on how to engage children in language, for example, instead of recommending visits to a center for therapy, Dr. Putnick said.